Going vegan has become an increasingly popular lifestyle choice in the past decade. While people have a variety of different reasons for choosing a plant-based diet, many vegans tend to have one thing in common: weaker teeth than carnivores. Whether you’re a lifelong vegan or newly considering making the switch, read on to learn what you can do to keep your teeth strong and cavity-free. 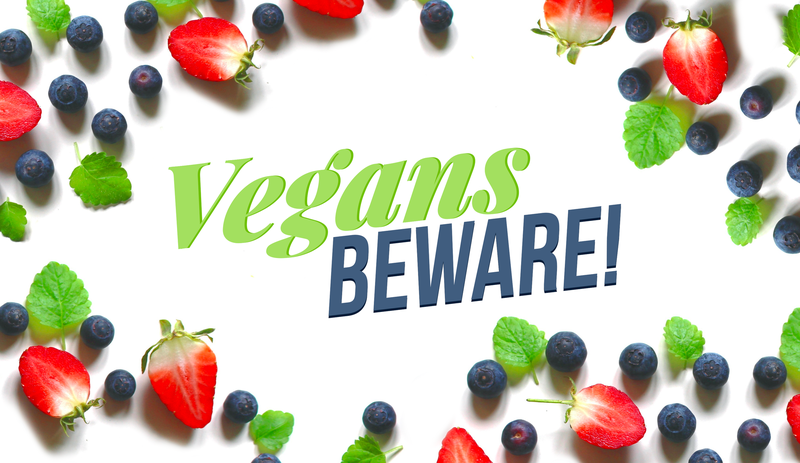 Although many healthy diets include eating lots of fruit, vegans may find themselves eating even more than their non-vegan peers. While your body will thank you for all the vitamins and minerals you’re giving it, your teeth may not. Sugary foods, even natural ones like fruit, can wear away at enamel and cause cavities. Your best bet? Swish a little water around your mouth after eating that juicy peach to flush away the excess sugar. Another factor that can cause vegans to have weaker chompers than their meat-eating counterparts is an important amino acid called arginine. Typically found in meat, fish, and dairy, a 2015 study of salivary bacteria in petri dishes showed that in the dish where arginine was added, the growth of cavity-causing biofilms was inhibited. Great news for carnivores, but how can vegans get the same benefits? Happily, there are some vegan-friendly foods rich in arginine, such as black and soy beans, as well as toothpastes and mouthwashes enriched with powerful decay-fighter. Whatever your reasoning, if you recently have, or are considering drastically changing your diet, contact your dentist for tips on how best to keep your teeth healthy and strong!